Sometimes in a marriage, you need a reminder about the love and admiration that you share for each other. The best way of doing so is to write down all that you feel about your wife on a paper and present it to her at the end of a very tiresome day. 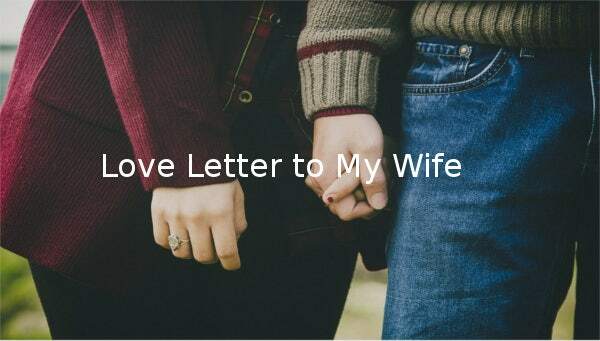 It will not only bring a glow on her face but also make her realize and understand the feelings that her husband has regarding her and also you can use love letter for her. Writing love letters to your wife can sometimes prove to be a tricky task for you. This is the reason why there are many examples written in various styles available to help you out. 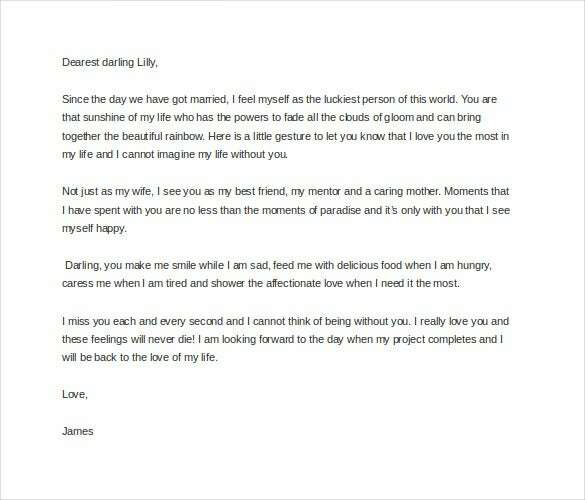 Your wife is the most important person in your life, and you can write a beautiful letter telling her how special she is. This template will tell you how to proceed; you could tell her that she is your best friend and a mentor who inspires you and how much you appreciate the way she takes care of you, even though you may forget to say it every day. 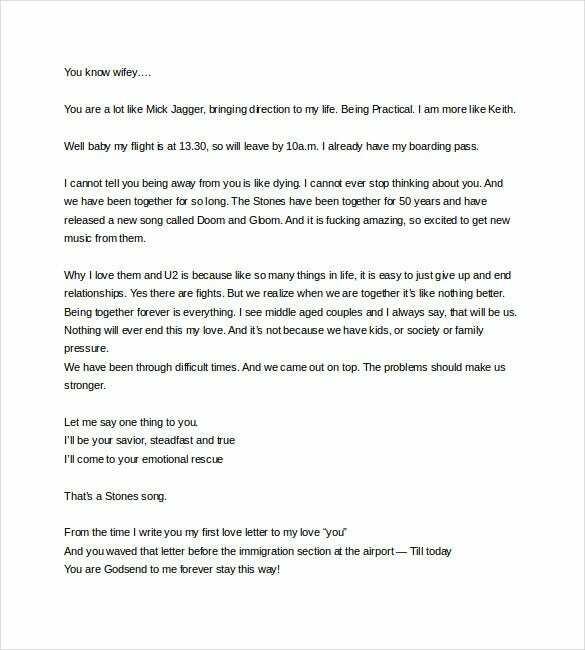 This letter has been written by a husband miles away from his wife, and you could follow his example if you’re in the same situation. 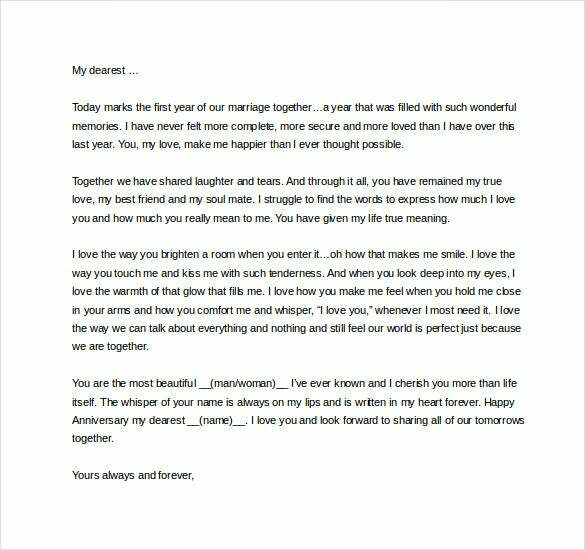 If you are looking for ways to make your anniversary even more special for your beloved wife, write her a letter like the sample, telling her what you love about her. 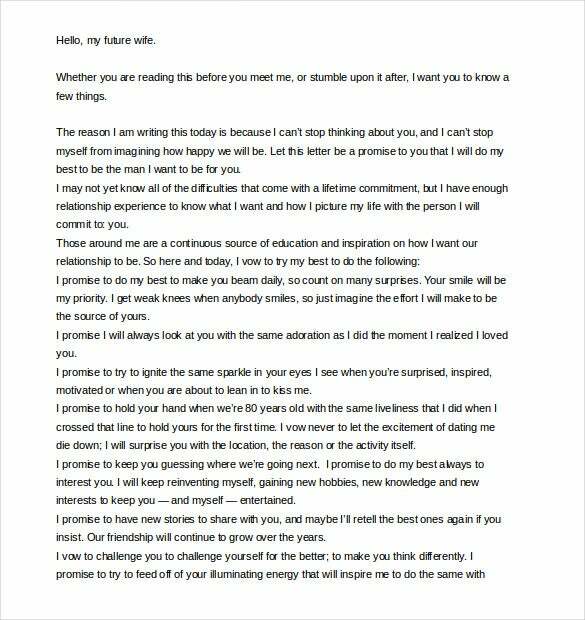 The letter expresses a husband’s true feelings as he wishes to spend the remaining portion of his life with his sweetheart and how he treasures each moment spent with her. 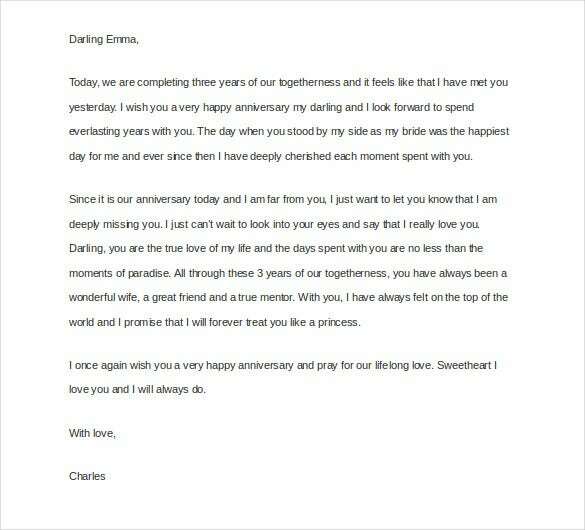 If you are not with your wife on the day of your anniversary, writing an adorable letter would be the perfect way to celebrate this important day. Your wife is your best companion, and this informal, to the point letter from the heart would be the best way to tell her how you feel. If you’re going away for a while, you can refer to this template to bid adieu to your wife. Like this template, you might even include the few lines of a song or poem, something that both you and your wife like. 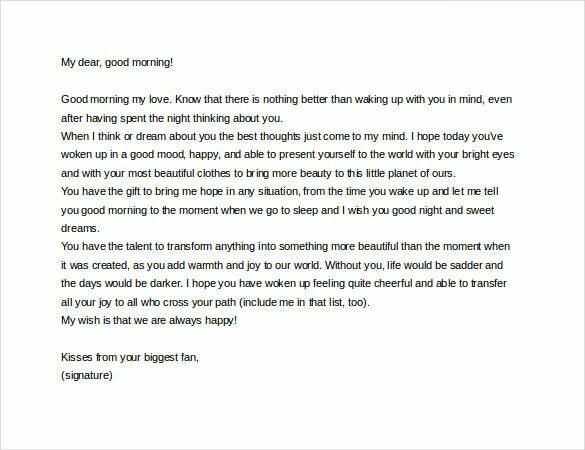 It would add a different tenor to you letter and is sure to make her smile. 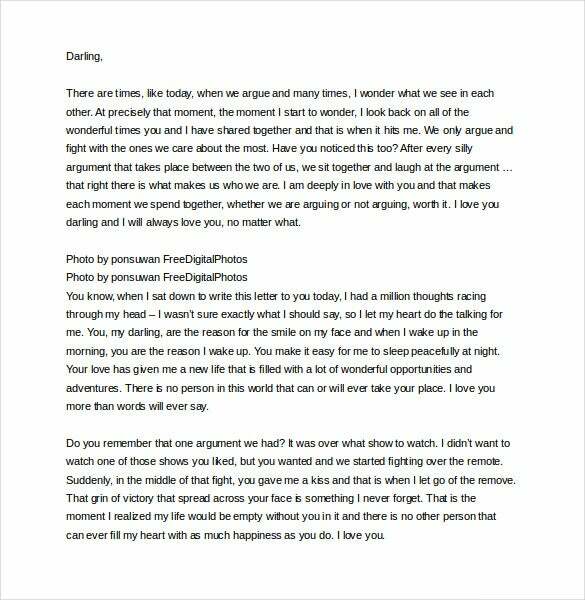 You may also see love letter templates to girlfriends.